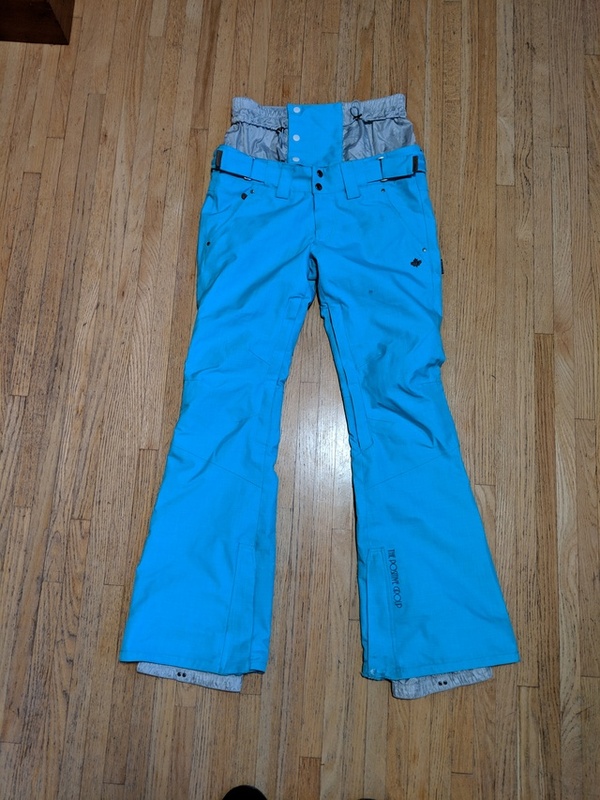 Maternity style snowboard pants for sale. The top is adjustable and can be removed. Size M. Very comfortable.